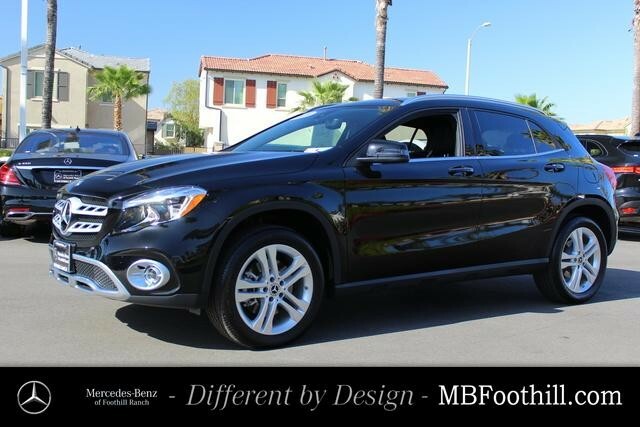 Mercedes-Benz of Foothill Ranch is offering this 2019 GLA 250W at a very competitive price! We welcome you into our world-class dealership to test drive the vehicle of your dreams and experience the very best in selection and service. Original MSRP priced at $39,570! Beautiful in Night Black, our 2019 Mercedes-Benz GLA 250W will rekindle your passion for driving! Powered by a TurboCharged 2.0 Liter 4 Cylinder that executes 208hp while connected to a race-derived 7 Speed Dual Clutch Automatic transmission for amazing road manners. You'll enjoy pulse-pounding acceleration with this Front Wheel Drive offering brilliant handling while and score near 38mpg on the open road.